Highlighting the work done by his incumbent government he said that efforts are being made to double the size of the economy. 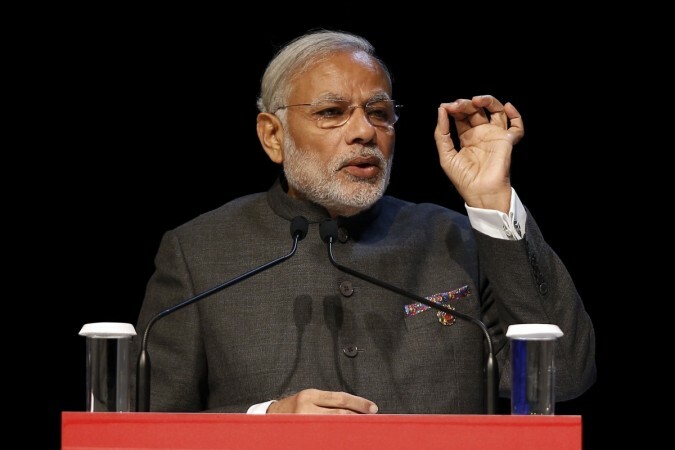 Prime Minister Narendra Modi has an ambitious plan to make India a $5 trillion economy. Modi was speaking at a meeting called on ease of doing business ranking with the Indian industry where he wanted India to break into the top 50 nations on the World Bank's ease of doing business ranking. Highlighting the work done by his incumbent government he said that efforts are being made to double the size of the economy. Blaming his previous government for halting India's development Modi added that era of policy paralysis has ended and his government's policy-based governance has pushed the country's ranking from 142nd rank in 2014 to 77th position in the current year in the World Bank's ease of doing business ranking. He went on to add that the government is committed to making it simpler for companies to do business in India. Country's good performance can be seen with the fact that it is getting recognition from international bodies like the IMF, World Economic Forum and UNCTAD. Narendra Modi added that "All these institutions are confident and hopeful of our future due to the pace of our reforms. Amid the persistent efforts in the country, now our effort is to take India to the 5 trillion dollar club as soon as possible. To achieve this goal we will have to improve every sector of the economy. The government had made a working group with the objective of developing a roadmap to achieve the goal of making India a five trillion dollar economy by 2025. The group had witnessed participation from the Department of Industrial Policy and Promotion in the Ministry of Commerce and Industry including officials from other department and industries. Presently, India is the sixth largest economy in the world and is one one of the fastest growing major economies. Projections remain positive and encouraging in the mid-term. The PM said that all effort is being made to improve India's ranking in the World Bank's Doing Business Report among the top 50 nations. In the latest report, India secured the 77th position with New Zealand securing the first spot followed by Singapore, Denmark, and Hong Kong.